Clean the dirt off the mushrooms, scraping them lightly with a knife, then rub them with a moist cloth and slice them thinly. Heat two spoonfuls of oil in a large pan and brown the garlic cloves with ASTI Secco Docg. Add the mushrooms, salt, and pepper and cook for about ten minutes uncovered, stirring frequently. Remove the garlic, add parsley and butter. 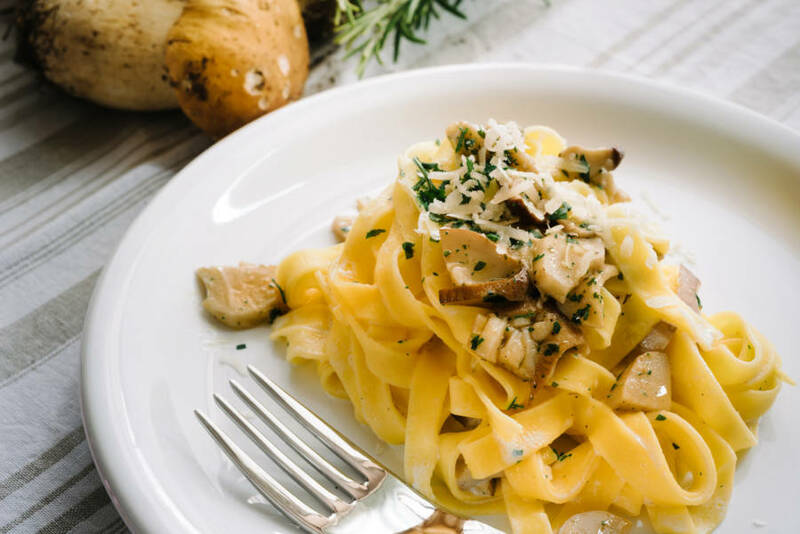 In the meantime, cook the tagliatelle al dente and add them to the saucepan with the mushrooms, mixing everything for a few minutes. Garnish with parmesan cheese and pepper and serve.